Everyone needs to sleep, even if it is in the city that knows not the word. 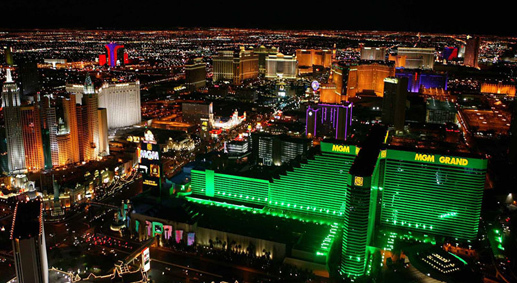 The Vegas VIP hotel reservations department can help you book any of the city's 130,000 plus hotel rooms. As a matter of fact, our exclusive VIP hotel reservations system has the ability to shop over 30,000 hotels all over the world! With so many options to choose from it's nice to have someone with local expertise to assist in making the right decision on Las Vegas hotel rooms. Maybe it's the hotel with the best swimming pool? Perhaps the most meeting and convention space? What about location on the strip? Whatever you need to know, our friendly staff will be there to help. With hotel rooms, especially large group accommodations, often the bottom line is price. Our special relationship with Las Vegas hotels allows us the power to provide the very best deals in large group rates. Add to that the knowledge and flexibility that the Vegas VIP team brings to the table and it is easy to see the built in value we provide. Our goal will be to find the right accommodation to fit your personal or business lodging needs and budget. Regular hotels aren't the only type of lodging available. There are luxury hotel suites (as big as a house) that overlook our famous skyline. Some equipped with lavish amenities such as an exercise room, private swimming pool, even an in-room basketball court! But if the sound of slot machines and shuffling tourists isn't music to your ears, then perhaps something more private will fit the bill. Vegas VIP can offer fully furnished houses and estates complete with gated privacy and all of the comforts of home. Ranging from 2,000 to 10,000 square feet, they are the perfect place to get away from the Las Vegas party scene …….or to invite it over!